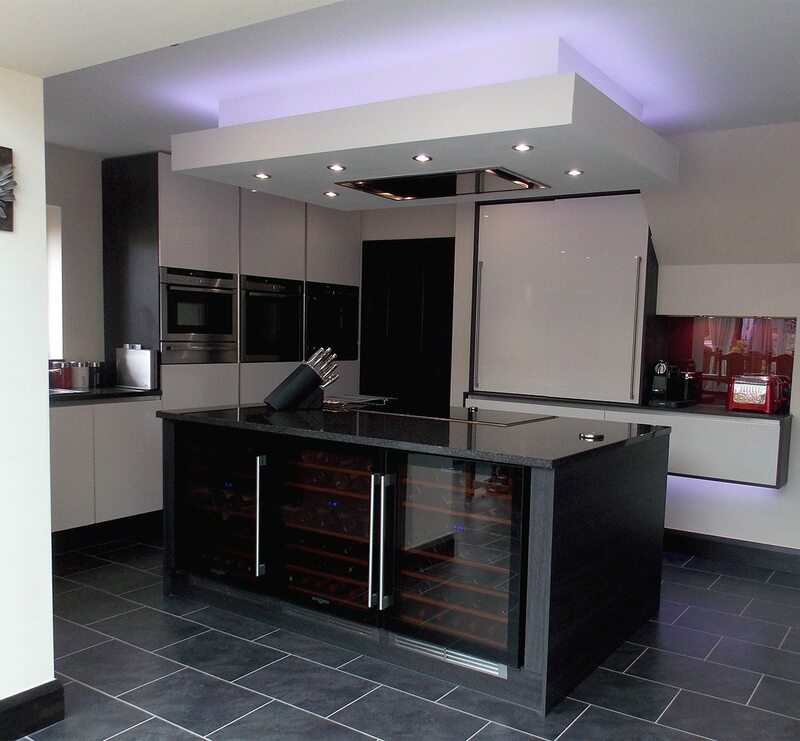 The Hall family were so impressed with their first Kitchen Design Centre kitchen that they came back for another! The latest design: a modern gem to revamp their new home. 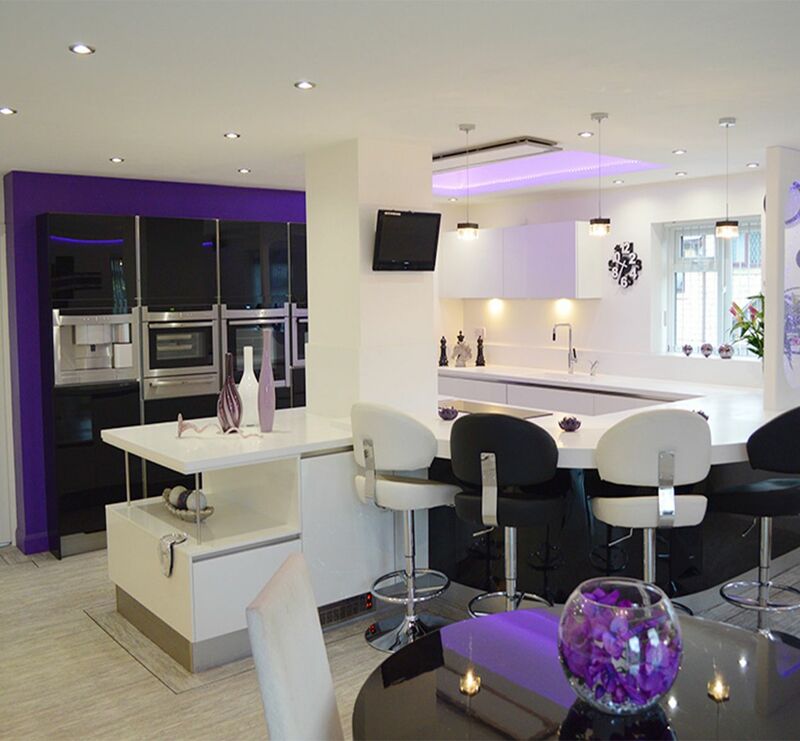 When Mr and Mrs Hall were looking for a designer kitchen for their new home, they knew exactly who to turn to. 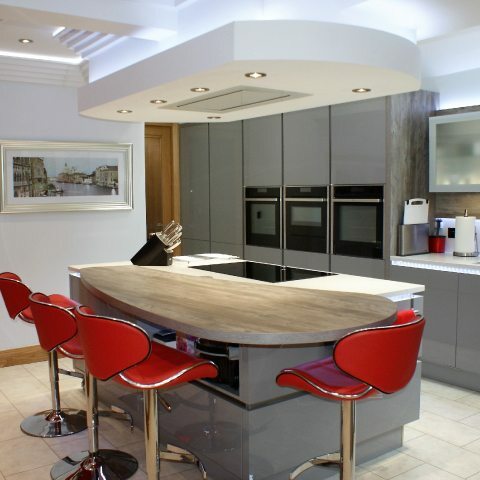 Having worked with Kitchen Design Centre in the past and been impressed with the results, the Kitchen Design Centre team were the obvious choice. 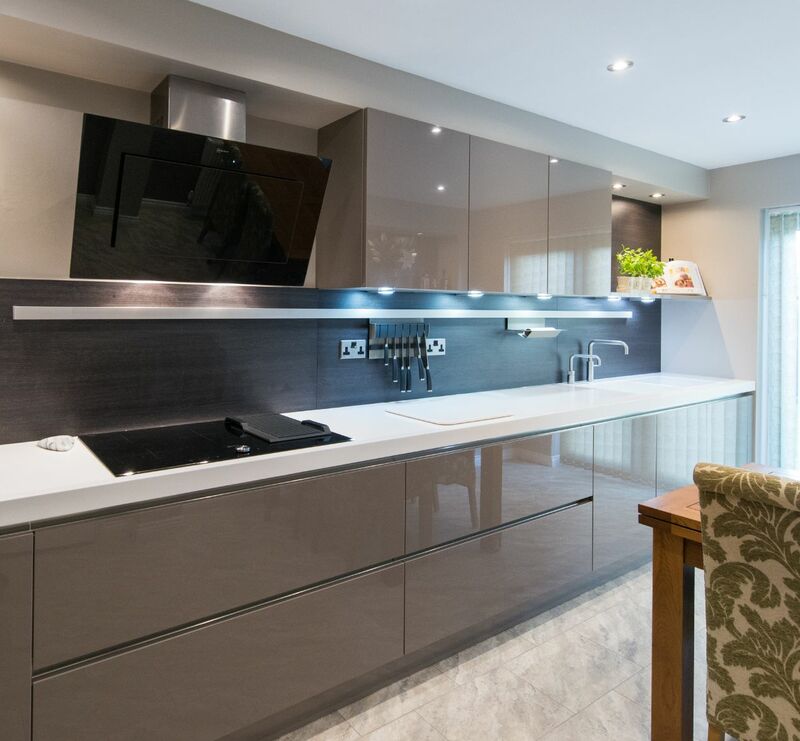 “Our last kitchen was designed by Simon back in 2014 and we absolutely loved it,” says Mr Hall. “We went back to Simon second time round to get him to transform the kitchen space in our new home,” he adds. As the kitchen was one of the most important rooms in the couple’s home, Simon wanted to ensure a light, bright interior. 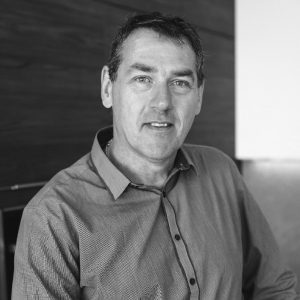 To make this happen, Simon had input into the structural design process to maximise natural light. The lighting scheme took advantage of vaulted ceiling details, allowing plenty of natural light, and artificial lighting including LED backlights. Uplighting was also incorporated into the art deco inspired coving. 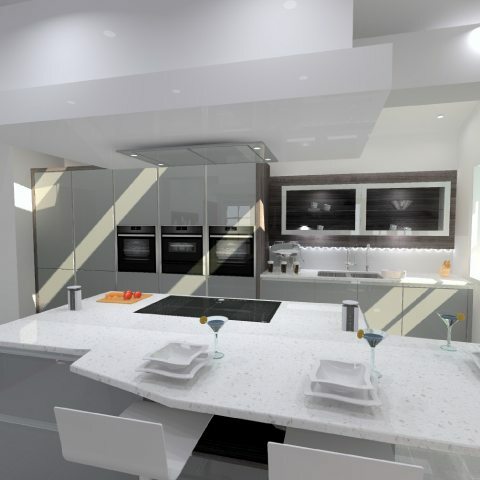 A sophisticated colour palette of white and grey was also used to ensure a sophisticated finish. 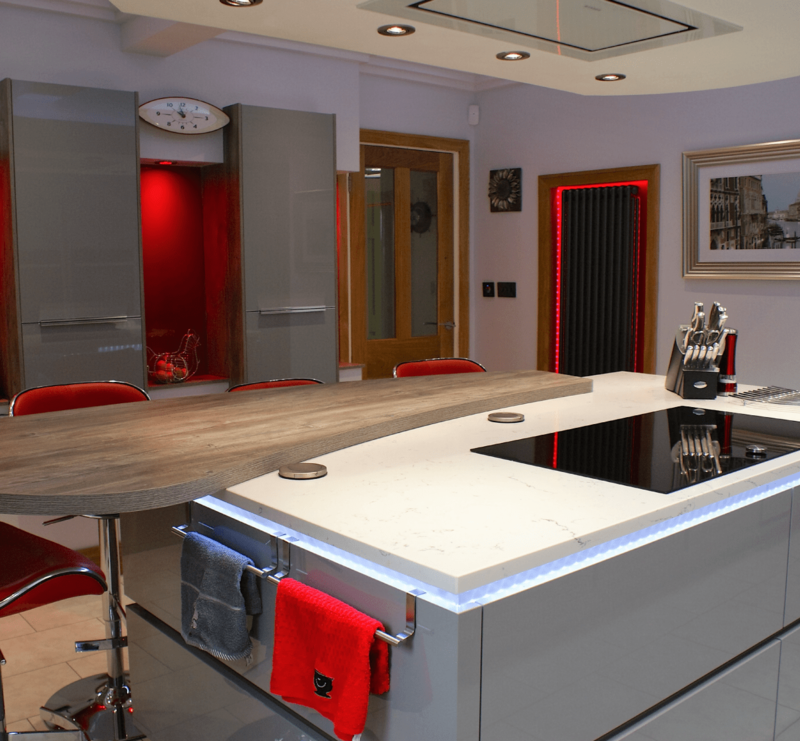 Quartz Attico worktops were teamed with Hacker units in Laser Brilliant Pearl Grey. 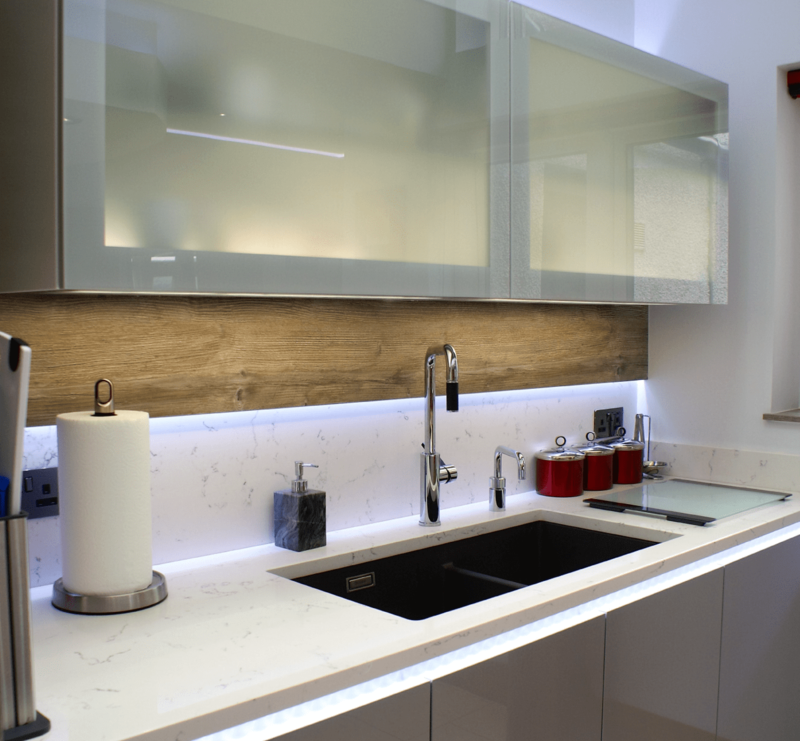 The breakfast bar was given the designer touch too in Mountain Spruce. “Simon and I fed off each other – we were all on the same wavelength, which resulted in a fantastic design,” explains Mr Hall. "Simon, our designer, was so easy to work with. 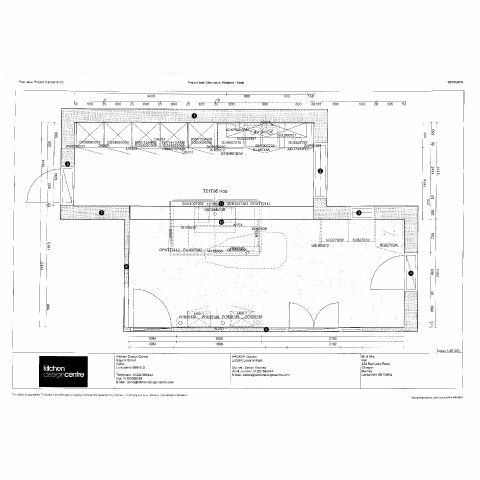 The final design was a combined effort, his ideas enhancing ours, and we absolutely love it!" "It’s always great to have a repeat customer – and it was a pleasure to work with Mr and Mrs Hall again. 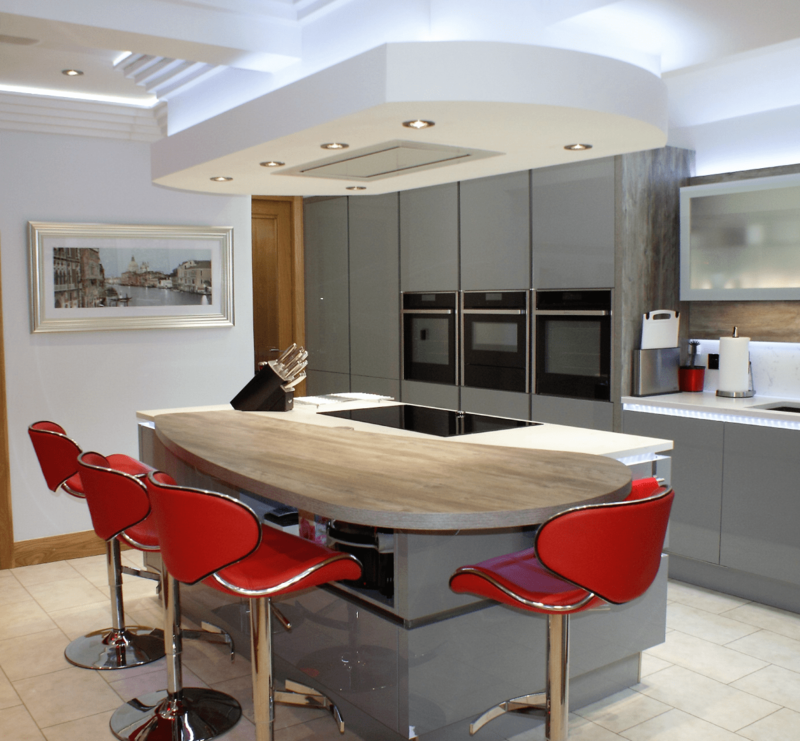 We looked after the whole design and installation process – ensuring the kitchen looked great and functioned well too. 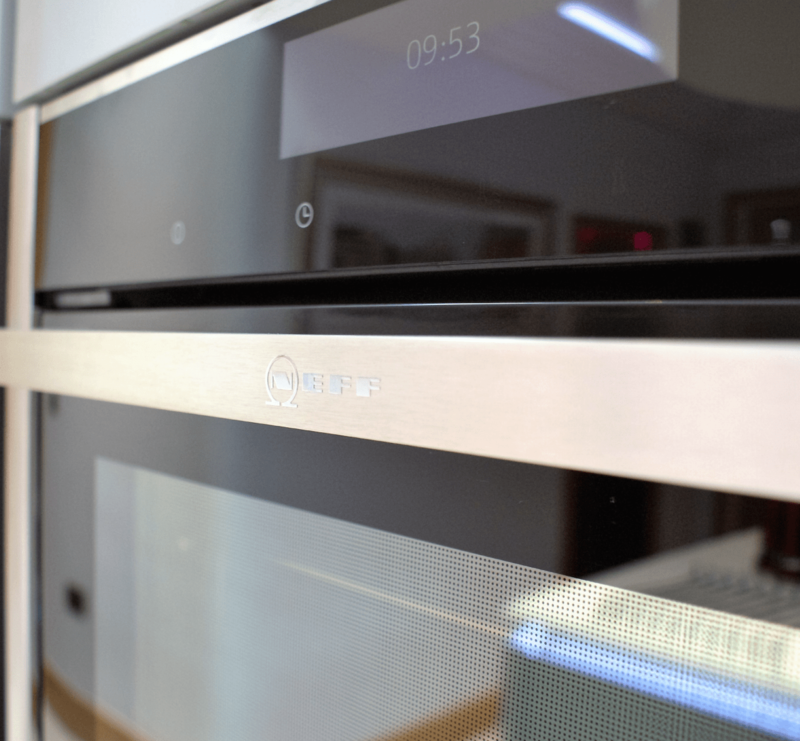 Top Neff appliances were important too – as cooking inspired Mr and Mrs Hall. 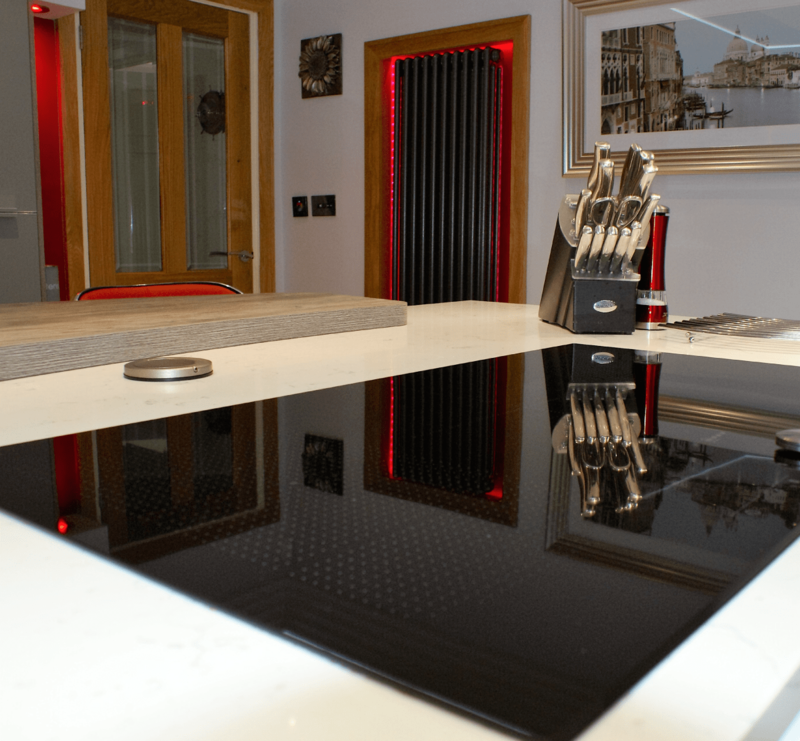 Some of the innovative features used included our backlit designer radiators and Quooker twin taps. We also installed clever storage under the mounted sink for grill pans and trays."